OPENING June 23: Hartford Prints! Hartford Prints! is a letterpress studio located in Hartford, Connecticut. Through the support of two Hartford Arts & Heritage Jobs Grants, artist Adrienne Gale has been able to employ students from Hartford Public High School to work in the studio and create art. Displayed here is the work created by the students hired for the 2009-2010 academic year. Throughout their time at Hartford Prints! these students were presented with four projects and charged with creating art prints that met the requirements of each project. First, the students were asked to consider what they most enjoyed about living in Hartford and how they could represent Hartford in a positive light. A trip to the Hartford History Center inspired images for the second project, based on the collected history of the public parks. For the third project, Adrienne challenged the students to create work utilizing the lead and wood type in the studio, as a break from so much image-heavy work. Finally, a shared love of food inspired the theme of the fourth project. The University of the Arts in Philadelphia is home to one of only a few graduate programs in Book Arts and Printmaking. Every fall, incoming MFA candidates create a print using various letterpress techniques, making enough to exchange a copy with their fellow students. 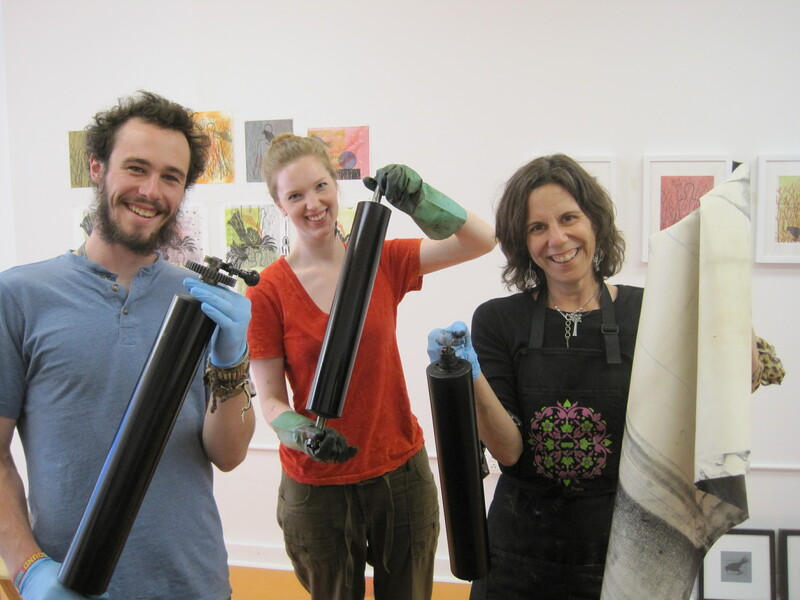 Exchanges are at the heart of every printmaking program and printmaker’s future. The exchange often has a particular conceptual theme as well as printing processes guidelines. This exhibit will highlight those different processes and themes. This particular exhibition is going to be a very exciting time for PRESS and especially for Melanie, PRESS’ founder and curator. Mainly because completed The University of the Arts Philadelphia Book Arts and Print Making MFA program. Look for which is piece is hers on the walls of PRESS when the second exhibition of the gallery comes to life on Thursday July 28th. During the final months of DownStreet Art, an exhibition of work created in the space during June, July and August will be mounted. 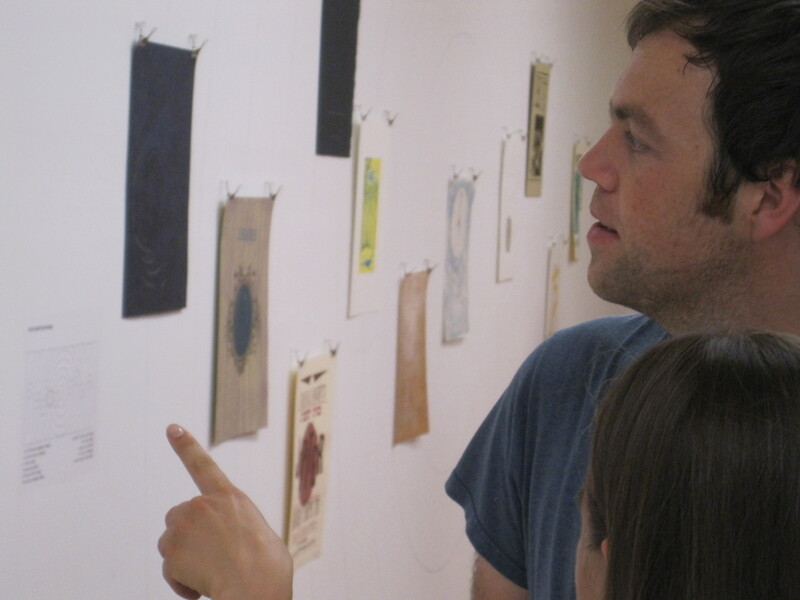 It will feature pressure prints, linoleum prints, prints with moveable type as well as book art and paste papers. Some of the work will be Melanie Mowinski’s created during open shop hours; some will be from the classes/workshops run during those months; some of the work will come from a small exchange designed specifically for DownStreet Art.